Today's my Birthday, and I'm celebrating in Bodega Bay! How perfect. Alfred Hitchcock's "The Birds" turned 50 two days ago! What a place of mystery! I brought the chocolate. The birds are already here! Sorry you can't be with me to celebrate my birthday, but you can read one of the Birthday Themed Mysteries on this list. 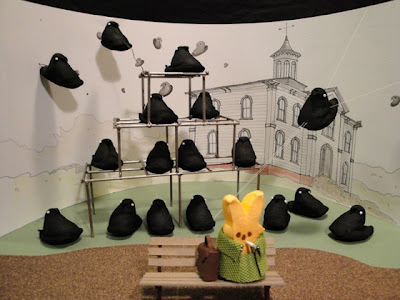 Of all my childhood Spring Confection memories, PEEPS stand out. My sister and I still buy each other PEEPS around Easter, even though neither of us actually eat the sugary marshmallow-y creatures any more--or at least I don't. She buys me purple rabbits; I buy her classic yellow chicks --the original PEEPS. You see where this is going? I'm a purist. The Washington Post has its annual PEEPS diorama contest, and one of the winning entries this year (7th Annual contest) is Peepton Abbey Season 3. Perfect for Mystery Fanfare readers. See all the winning dioaramas here. Season 3 of the British show, written and created by Peepian Fellowes, ended with a dramatic twist in February. Submitted by Margot Gresham, 48, Fairfax. And this year, I set up a small PEEPS scenario of my own. PEEPS vacationing in Bodega Bay. Hope the Chicks don't turn rogue. They are birds, after all. Richard Griffiths, a wonderful character actor who won a Tony Award for his stage portrayal of a British teacher in “The History Boys” but who gained his widest exposure as a mean-spirited uncle in the “Harry Potter” series of movies, died yesterday at a hospital in Coventry, England, after heart surgery. He was 65. 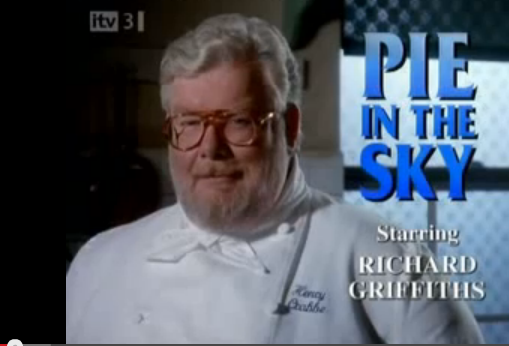 But I will remember him most for his role in the 1990s British TV series "Pie in the Sky" in which he played a chef/restauranteur detective. I loved that series! 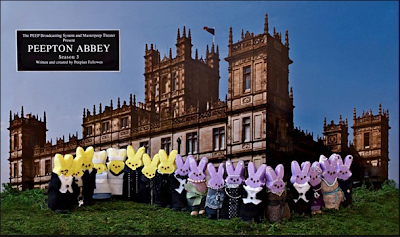 Even if you don't live in Norway where Paskekrim (Easter Crime Fiction) is a crime fiction tradition, you can enjoy reading some great mysteries that take place at Easter. To find out more about Paskekrim, a Norwegian tradition that takes place over 5 days from Holy Thursday through Easter Monday, when all major TV networks show murder mysteries and detective series, click here. Since it's an official holiday that celebrates crime fiction, many crime novels are specifically published at this time for the holiday. Short Story: "The Man on the Cross" by Bill Crider from the collection Thou Shalt Not Kill, edited by Anne Perry. 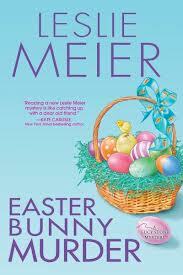 Looking for Easter Chocolate to eat while reading? Stop by my other Blog, DyingforChocolate.com for some great Chocolate Easter Recipes. Today I welcome back Rabbi Ilene Schneider. How perfect for this post--during Passover! In her spare time (which she finds by never cleaning the house), she's a birder and gardener, although her garden’s almost as much of a mess as her house. (She believes in benign neglect: she plants it; if it comes up, great; if it doesn’t, she tries something else. She lets nature do the watering, which is why everything in the flower boxes is dead, and refers to the weeds as “wild flowers and decorative grasses.”) When the weather’s nice enough to garden, she’s more apt to be birding. 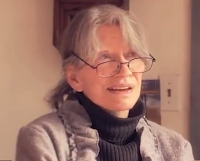 Unlike her protagonist, Rabbi Aviva Cohen, Ilene has been married to the same man since 1976, and has two “millennial” sons, making her part of the trendy group of “older” parents. 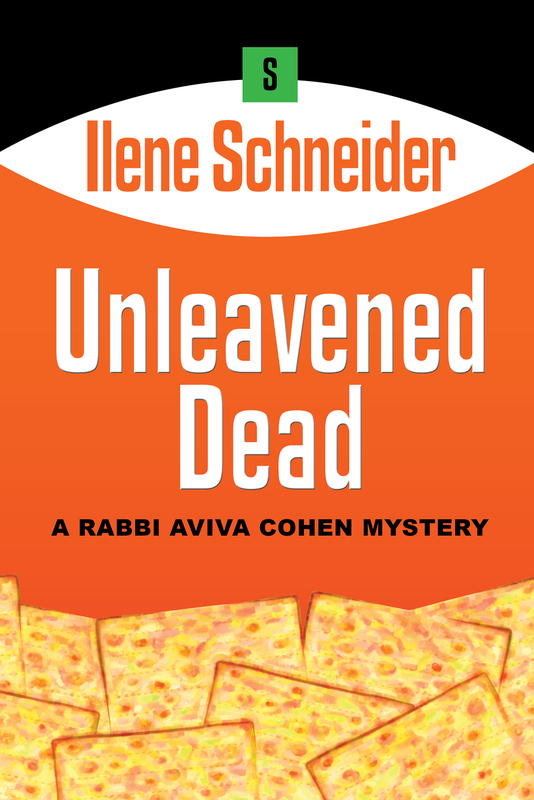 She is the author of the Rabbi Aviva Cohen mystery series that includes Chanukah Guilt and Unleavened Dead. In addition, she is the author of Dirty Yiddish: Beyond Drek: The curses, slang and street lingo you need to know when you speak Yiddish. I decided to do the freezer first, as it would be easier than the refrigerator. I had been eating weird combinations of foods (blintzes and pizza, barbecued chicken and cold Thai noodles – actually not that bad together – vegan egg rolls and spanikopita) for weeks, so all that was left now were stale ice cubes (yes, they can get stale), heels of freezer-burned rye bread, and Friendly’s Candy Cane ice cream, left over from the previous December. I finally could give all my concentration to the refrigerator. It was even worse than I had thought. After dumping all the unidentifiable objects, I kept a couple of containers of yogurt, a jar of peanut butter, and some milk not yet past its sell-by date so I would be able to eat at least something at home the next few days. By the time I had emptied tins half-filled with green tuna, bottles of fuzzy tomato sauce, and jars of mutated olives into the garbage disposal, my recycling bin was overflowing with glass and metal. Some of the leftovers got thrown out directly into the trash, along with their storage containers; I was afraid I would unleash poison gases if I opened them. I turned on the lights in the rooms facing the back of the house and opened the shades so I could find my way through the dark backyard to the composter, where I added the fruits and vegetables that had begun to morph into creatures that any director of horror films would love to use. Everything else went into giant black plastic trash bags, which I dragged to the curb and added to the trashcan. Being green has its limits, and if I hadn’t gotten that stuff out of the house, I would have been turning a very unflattering shade of green. The above scene took place on the Tuesday night before the first Passover Seder the following Monday. 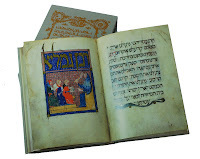 As I write this blog, it is the Thursday night before the Monday Seder. Because of a variety of commitments – some personal, most professional – Aviva had to start even earlier than we have in real life. Well, perhaps not all that much earlier. We have been assiduously eating (and dumping) our way through the freezer and the refrigerator for a while now. The other day, we ran out of margarine. We would never finish a new tub before Pesach (the Hebrew for Passover) begins, so rather than buy one that would have to be tossed, my husband discovered that olive oil tastes great on baked potatoes. We find a lot of substitutions as we run out of condiments close to the holiday. So, you may ask, with good reason, what am I doing sitting in a local branch of a nationally known coffee shop known for its highly addictive and overpriced frozen drinks, typing away on my laptop instead of helping my husband clean out the kitchen so the cooking frenzy can commence ASAP? Because the pre-Pesach shopping and cleaning have become his job. He has a stronger stomach than I do. And he finds shopping a challenge; I find it a chore. My job is to do the cooking, after I unearth the needed ingredients from the dozens of shopping bags that fill every open space in the garage, the family room, and the enclosed porch. And to draw up the shopping list, forget to add a crucial ingredient, and then blame him. Isn’t that what an egalitarian marriage is all about? I wish all my Jewish friends a Zissen Pesach (a sweet Passover) and to my non-Jewish ones: please pick up some discounted Easter candy and put it away for me until after Pesach. My kitchen is Kosher for Passover. Wednesday, May 29 at the National Club in Toronto. For information or to buy tickets for the Gala, go HERE. 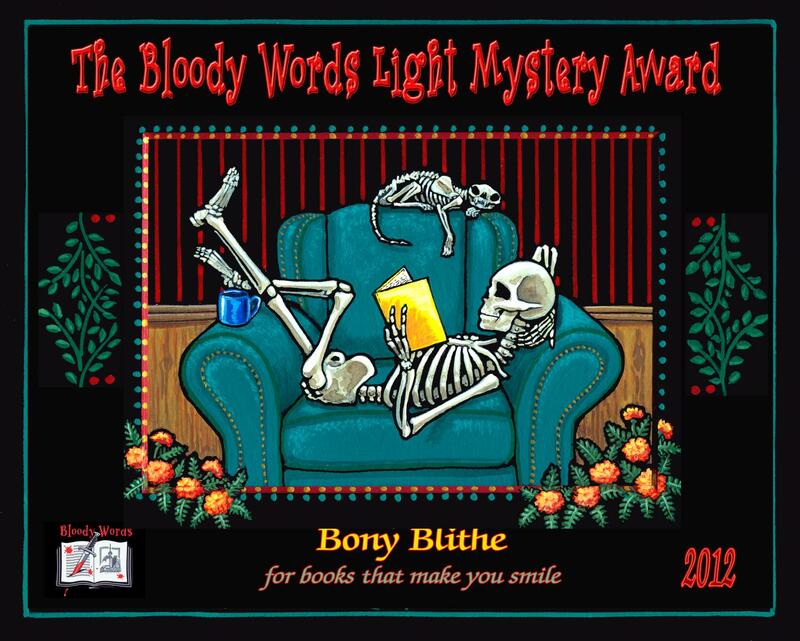 The winners will be announced September 19, 2013 at the Opening Ceremonies of Bouchercon 2013 in Albany, New York All subscribers and readers of Deadly Pleasures Mystery Magazine are eligible to vote. Congratulations to all! The winners of the following Awards were given out at Left Coast Crime 2013 tonight in Colorado Springs, CO. The 23rd annual Left Coast Crime Convention took place in Colorado Springs, CO, March 21–24, 2013. This year’s Guests of Honor were authors Craig Johnson and Laura Lippman. Actor Lou Diamond Phillips was a Special Guest. Tom and Enid Schantz were the Fan Guests of Honor. 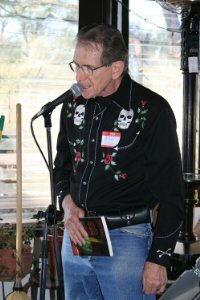 Author David Corbett served as Toastmaster, and Parnell Hall entertained as the “Last Resort” Troubadour. With the Jewish holiday of Passover starting at sundown Monday Night, March 25, this year, I thought I'd update my Passover Crime Fiction list. As always, let me know any titles I'm missing. Peter Robinson has won the Dilys Award Winner for Before the Poison (William Morrow). It was announced tonight at Left Coast Crime in Colorado Springs, CO.
Vince and Rosemarie Keenan have won the 2013 William F. Deeck Malice Domestic Grant for Unpublished Writers. 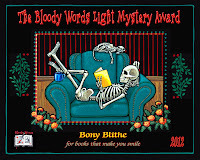 The award, given annually by the organizers of the Malice Domestic conference to new novelists, is for their comic mystery, Design for Dying. They will receive the award at Malice Domestic in Bethesda, Maryland in May. Congrats to Vince and Rosemarie. Hat Tip: The Rap Sheet! How can you not love Stephen King? He and his wife agreed to pay $3 million to overhaul their hometown library in Bangor, Maine. One of the library's most pressing needs is a new roof to protect its collection, described as the biggest in northern New England. The library's copper roof was installed in 1912, when the library was built, and library officials say it's beyond repair. The Strand Magazine 2012 Critics Awards Nominees. Winners will be announced July 9. The six semi-finalists for the seventh annual Dr. Tony Ryan Book Award have been announced. Conceived and launched in 2006 by the late Castleton Lyons owner Dr. Tony Ryan, the award has annually showcased the best of racing literature. Originally known as the Castleton Lyons Book Award, the name was changed to honor its founder, who died in 2007. The winner of the 2012 Book Award will be announced on April 10 at Castleton Lyons during a cocktail reception held in a room above the farm’s stallion barn. First prize is $10,000, with $1,000 awarded to each runner-up. In addition, all three finalists will receive a Tipperary Crystal trophy. Frank Thornton aka Mr. Peacock: R.I.P. 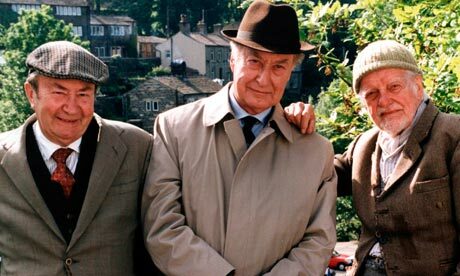 The Guardian reports that the actor Frank Thornton has died at the age of 92. Thornton had a flair for comedy derived from the subtle craftsmanship of classical stage work. However, he will be best remembered for his longstanding characters in two popular BBC television comedy series – the sniffily priggish Captain Peacock in Are You Being Served? and the pompous retired policeman Herbert "Truly" Truelove, in Roy Clarke's Last of the Summer Wine. Erin - Go- bragh! 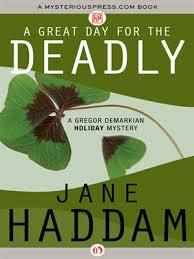 St. Patrick's Day figures in several mysteries, so here's my updated St. Patrick's Day Crime Fiction list. Irish aka Emerald Noir is very popular right now, so you can always add titles to your TBR pile from the many Irish crime writers available, although they may not take place specifically during St. Patrick's Day. Declan Burke has a great post on his blog CrimeAlwaysPays -- Irish writers: The St. Patrick's Day Massacre: Or, Five Years of Truly Great Irish Crime Writing. 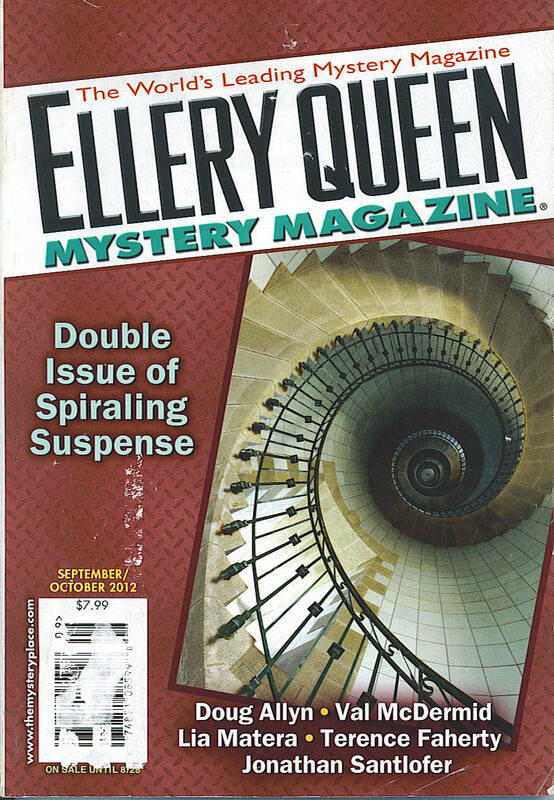 Mystery Readers Journal had an issue that focused on Irish Mysteries. It's available as PDF or hardcopy. Today I welcome back mystery author Clark Lohr. 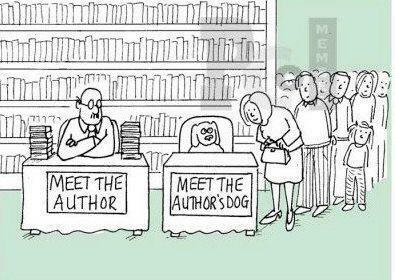 The message that’s been running through commercial fiction culture for years now is: Publish it yoursef, and you’ll get to keep lots—lots— more money for yourself, and your book will look as good as anybody’s. You can partner with powerful companies that put your work on a virtual bookshelf for the whole world to see. You then work hard and smart and long at promoting your work—and you get yourself a real paycheck, a real reputation, and, maybe, true fame and fortune. The good news: this message is generally true. Established authors—some of them great literary fiction authors— are buying back their publishing rights from traditional publishers and putting their books up under their own brands, or labels, which are “presses” or “publishers” only in name. 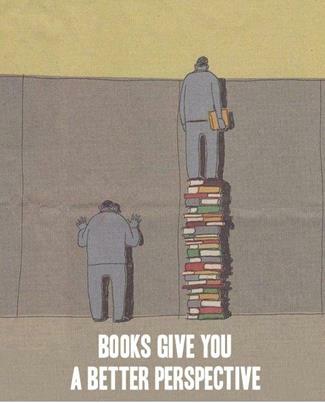 Authors don’t have printing presses in their basements. We type stuff on keyboards, and it goes into cyberspace and becomes bound books and e-books—and we operate in a publishing industry (this is the kicker) that’s changing almost daily—daily. Traditional publishing houses have dwindled down from The Big Six to something like “The Big Four.” Penguin and Random House recently merged. These corporations can be foreign owned, and they don’t function like artists; these corporations look at the bottom line and focus on publishing the famous, the infamous, and those who know them. New authors don’t have a chance of getting a contract from traditional publishing houses. These houses are refusing new works by established authors they’ve previously published. If there’s a best way into a big money contract with a traditional house it’s by self-publishing and building a buzz for your book. Allegedly, big time book and movie reps troll the internet for talent and talent gets noticed. In late 2009, Amazon merged two smaller companies and called the result “CreateSpace.” They began manufacturing books, DVD’s and music formats for artists and businesses. You can love or hate Amazon and there are reasons to do both, but they get things done. In that same year, CreateSpace out produced Lulu.com, a famous, previously established self-publishing service. I signed a contract with a respected small publishing company in October 2010. Devil’s Kitchen appeared as a 6x9 paperback, a trade paperback, in June 2011. My experience? Pretty good. I was a first-time author. I’d passed the bar; my writing was good enough for a critical, smart, and seasoned acquisitions editor—a mystery author herself—to offer me a contract. That was a plus. As for a minus, I learned that having a POD publisher—a publish on demand publisher—is not a plus in the minds of the chain bookstores—and that included the University of Arizona, my alma mater. Their book buyer stonewalled me and a clerk inadvertently explained the reason by looking at their master list of book descriptions and saying that Devil’s Kitchen was a POD book—apparently, I might as well have published it myself and been turned down for having a POD book. On the plus side, according to my contract, my publisher listed my title with Ingram and other book wholesalers. I know they put me up on online retail stores as well. I was on Amazon, Powell’s Books, and so on. Again, on the plus side, my publisher educated me in self-promotion and encouraged me to self-promote. They maintained a website and did press releases and made contacts with bookstores—indie bookstores, mostly, because the big chains don’t want the small publisher or the self-publisher. My publisher bore the expense of creating my book cover, even though, as a photographer, I felt I had a better design in mind than their artist, and I still think so—and, in the end, my publisher went with my design. My current Kindle/CreateSpace/“BarZF Press” cover design is even better. Although I paid for it myself, the price was reasonable. We’re not talking thousands of dollars for any of this book production. Nor did I pay thousands to get my rights back. I paid under a thousand. My publisher paid me a twenty percent royalty for every paperback copy sold and fifty percent for e-book sales. The CreateSpace royalty calculator tells me I’ll make around thirty percent royalties on paperback sales going out on Amazon. 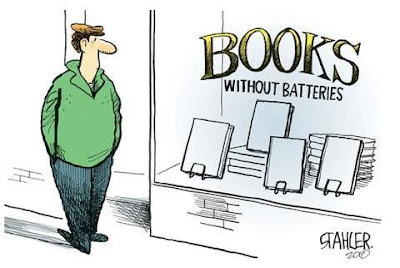 On e-book sales, just under fifty percent. When I order paperbacks shipped to me for sale by me, I’ll pay less to Amazon than I did to my publisher. I own the publishing rights now. If Devil’s Kitchen ever goes book to movie, I won’t be contractually obligated to give fifty percent of the money to my publisher. I stand to make more money from books sold on this new path I’m on. It’s now almost entirely up to me to promote my work. I received encouragement and help with formatting for the web from other indie authors. I’m grateful for the author culture I’ve experienced, an open culture of sharing information and ideas for everyone’s benefit. How is it going to work out? I don’t know. I’m at the point where Stuart Little gets in his little car and drives off down the highway. He had a great attitude. I’m going with that attitude. 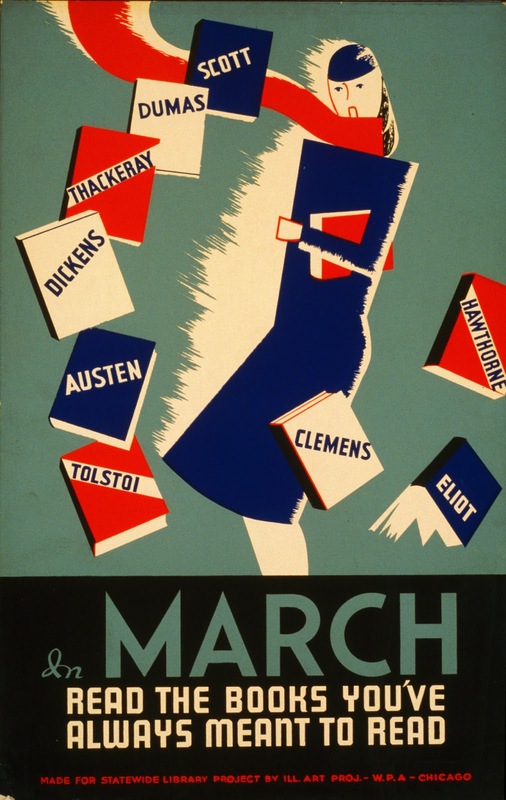 March is Reading Month! 1941 WPA Project. 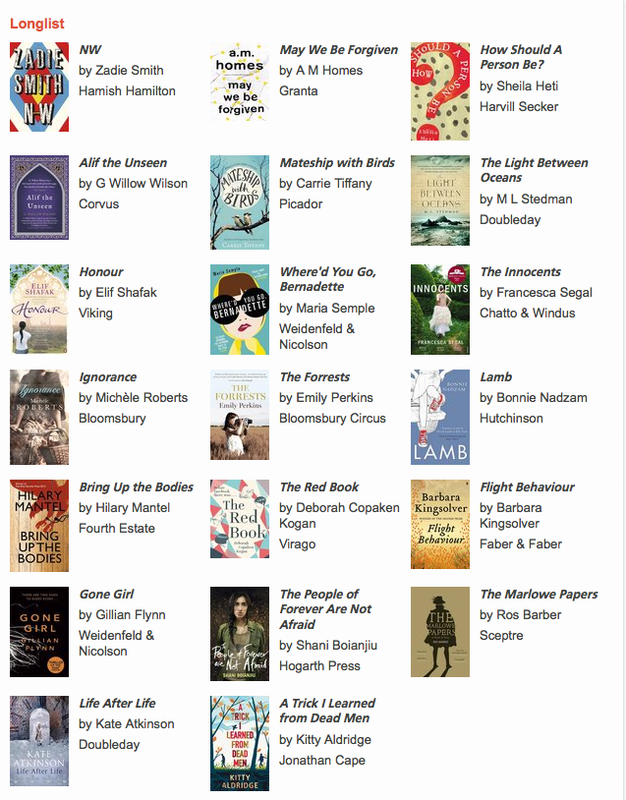 The Longlist for the 2013 Women's Prize for Fiction includes Gone Girl by Gillian Flynn, Life After Life by Kate Atkinson. Shortlist will be announced April 16, and the winner will be announced June 5. Some really great reading on this list. Several books are not available in the U.S. yet. 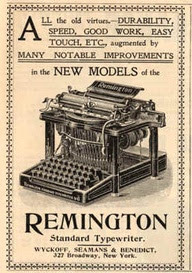 One of my favorite new ads: Some things that just call for paper! March 12 is National Hitchcock Day. No apparent reason for this date as he wasn't born on this day, nor did he die on this way. Not sure who sanctions these "Holiday" dates, but here goes. Lots of Hitchcock stuff to do today. 1. See a Hitchcock Movie on Netflix, Amazon or Hulu --or buy the DVD Collection: Alfred Hitchcock: The Masterpiece Collection (15). 3. Go see Sir Anthony Hopkins in Hitchcock. 4. Take a Train Trip. Be careful whom you talk to. 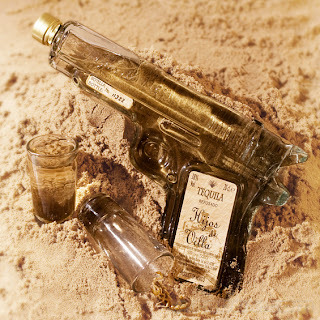 The winning title will be announced at the annual international crime fiction event CrimeFest, held May 30 to June 2, 2013. The winning author will receive a full pass for the 2014 CrimeFest event plus a guaranteed panel at the 2014 event. Details on eligibility and how to enter for the 2014 Petrona Award can be found on the Petrona Award page (http://petronaremembered.com/the-petrona-award/) of Petrona Remembered, a tribute website (http://petronaremembered.com/), where fans of crime fiction can contribute by writing about a favorite book. 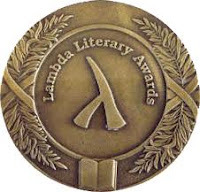 The Lambda Literary Awards are given “to celebrate achievement in lesbian, gay, bisexual, and transgender (LGBT) writing for books published in 2012.” There are 22 categories of nominees for the “Lammys,” but the two of most interest to mystery readers. For all nominees, go HERE. The winners will be announced on June 3 at New York's Cooper Union. Sorry to have missed the nominees on this one last week, but thanks to The Rap Sheet via The Mysterious Press Blog. 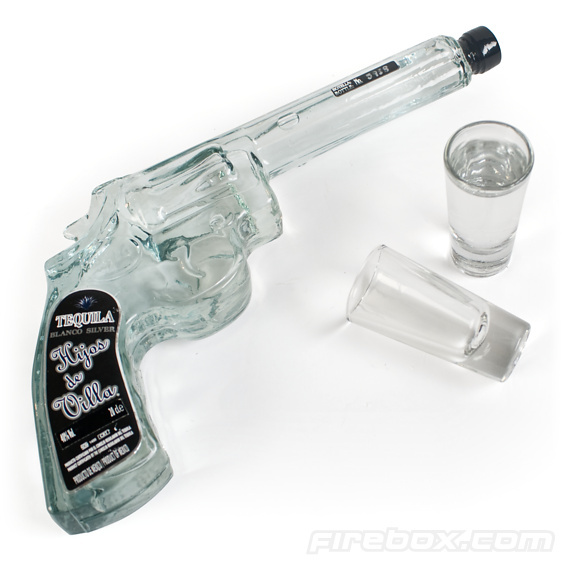 Any one of these would be great for the alcoholic P.I. Booze & Guns. 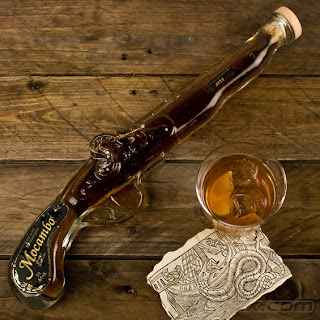 Inspired by 17th century pirate pistols. Filled with Mocambo Dark Rum. 6 Shooter or Glock 9mm. Both contain Tequila. So you want to be a Librarian? 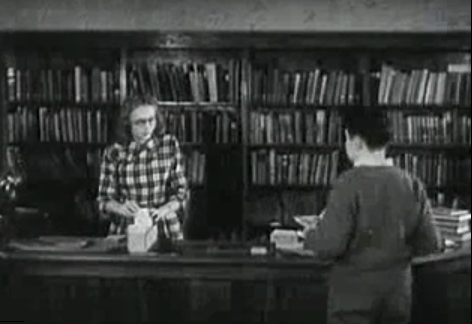 Watch this Vocational Guidance Film: The Librarian (1947). This 10 minute film includes information on becoming a librarian, types of jobs, types of libraries, bookmobiles, Library of Congress, a few sexist comments and more. Fun to watch, especially for a peak into history. Sad to hear the voiceover announce there is a 'need for thousands of trained librarians'. 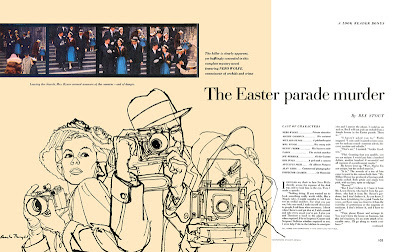 Today I welcome artist/writer Loren Kantor as guest blogger. 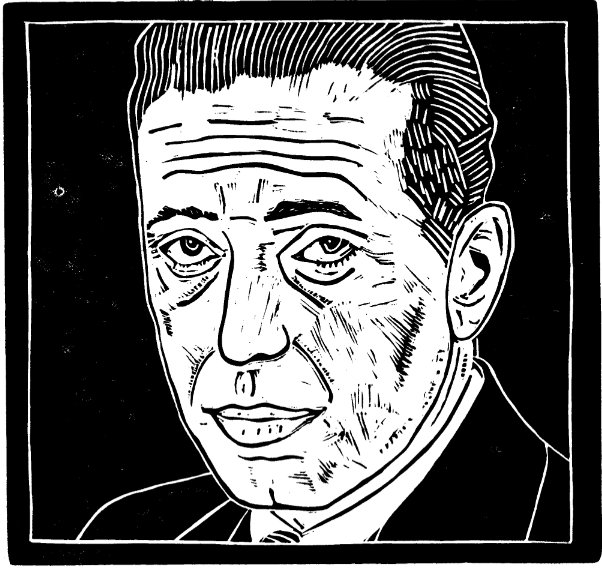 I came across some of his fabulous woodcuts last week and needed to know more. Check out Loren's blog Here. Loren Kantor is a passionate, curious Woodcutter/Writer living in Hollywood with a love for movies, music and old Los Angeles. Check out his blog for more information. 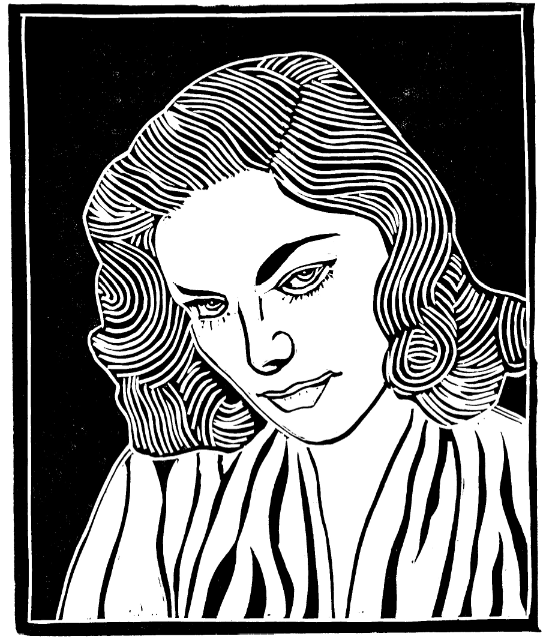 All woodcuts are for sale. 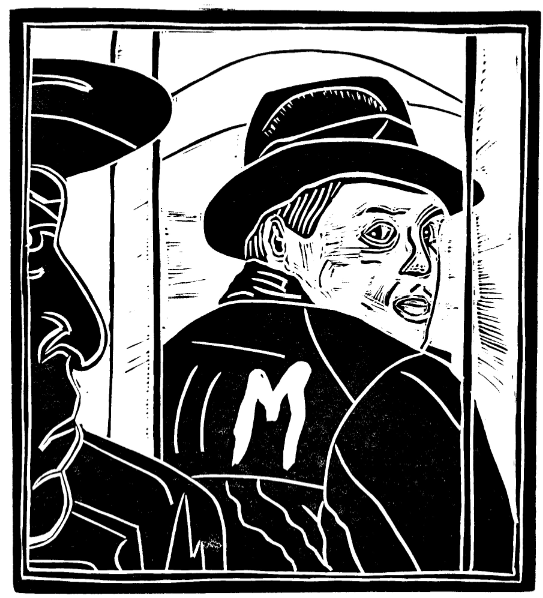 My interest in woodcuts began in the 80's when I attended a German Expressionist art show at LA County Museum. I encountered the woodcut prints and paintings of George Grosz, Kathe Kollwitz and Karl Schmidt-Rottluff. I was mesmerized. I loved the stark lines and bold imagery. I was also blown away by the dark subject matter. Characters expressed emotional angst and images focused on the violent and unpleasant aspects of society. I was writing screenplays in those days and I never envisioned attempting woodcut carving myself. 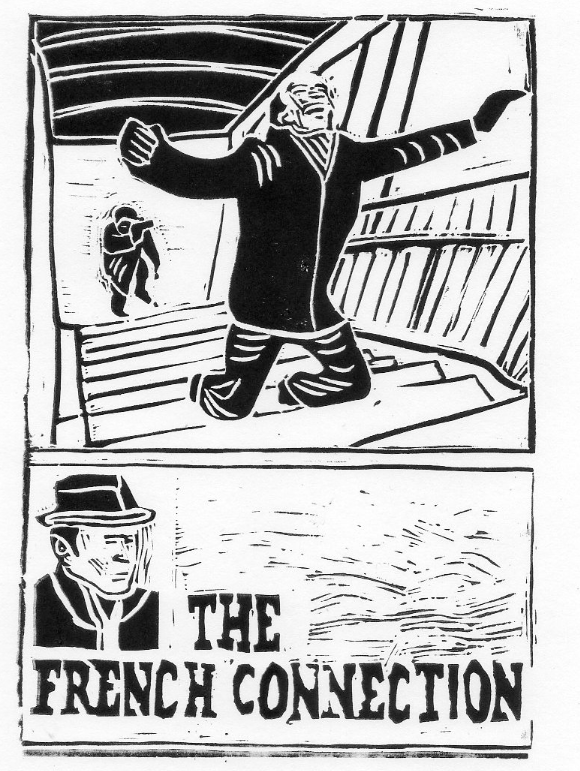 But the images remained in my subconscious and whenever I saw a woodcut print I felt a sense of excitement. Several years ago, my wife surprised me with a woodcutting set for my birthday. I checked out a few online tutorial videos and I dove in, head first. The carving process was difficult at first. I cut myself often, the blocks were ragtag and I felt like a kindergartner with his first set of fingerpaints. But before long I got the hang of it. 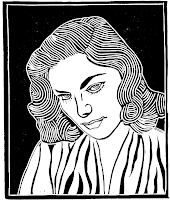 The idea to carve images from Film Noir Movies came about because we needed art for our walls at home. 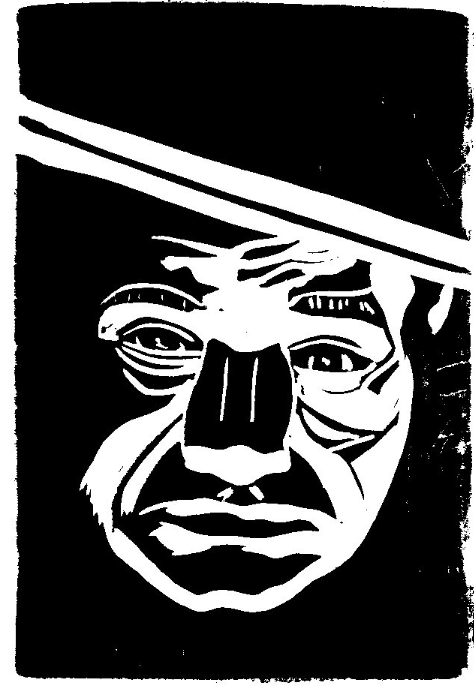 I realized the stark imagery of black & white films was a perfect match for the carved lines of a woodcut. 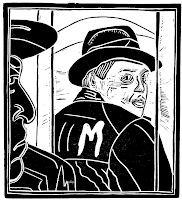 The roots of film noir cinematography came from German Expressionist movies so this provided a nice link to the woodcuts. I was first exposed to film noir as a child. My father was a film editor at Columbia Pictures and in the early 70's he borrowed 16mm film prints and screened them in our living room for the neighborhood. This is how I saw my first true film noir, DOA. From the moment Edmond O'Brien walked into the police station to report his own murder I was hooked. There was something twisted and mysterious about the film, an edge I couldn't find in the boring Hardy Boys books I was reading. On Saturday nights, my dad took me, my brother and my sister to a revival film theater in Hollywood across from Fairfax High School. We watched vintage silent comedies (Chaplin & Keaton) and old Republic Serials (Flash Gordon, Captain Marvel). My favorite movies were the detective classics like Murder, My Sweet and The Big Sleep. 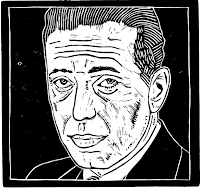 I became obsessed with Bogart and I often stayed up late watching Bogie on TV. During my college days at UCLA, I took a film noir class and immersed myself in the classics: Sunset Blvd., Double Indemnity, The Big Sleep, Laura. I fell in love with the stark black and white photography, the sinister shadows, the cynical heroes and enticing femme fatales. My favorite film noir was Fritz Lang's The Big Heat. Police detective Glenn Ford takes on a syndicate boss and his evil henchman Lee Marvin. When Glenn Ford's wife is killed by a car bomb intended for him, you realize you've entered a film world that does not play by "happily ever after" rules. Lee Marvin's character takes pleasure in burning women with cigarette butts and throwing hot coffee in his girlfriend's face. The movie is ruthless and intense and the hero is only able to carry out justice after resigning from the police force and living by his own moral code. I think this was my attraction to film noir. Protagonists such as Bogart and Robert Mitchum embodied the rugged individualism I admired. I was always more of a loner and I never trusted groupthink. I was born the year JFK was killed and I remember when Nixon resigned. I guess I was raised in a period of cynicism and noir movies seemed to resonate with my outlook. Once the image is carved I clean the block, apply a thin layer of ink and hand press the image on archival paper using a Japanese Baren (a bamboo tool that look kind of like an air-hockey paddle). 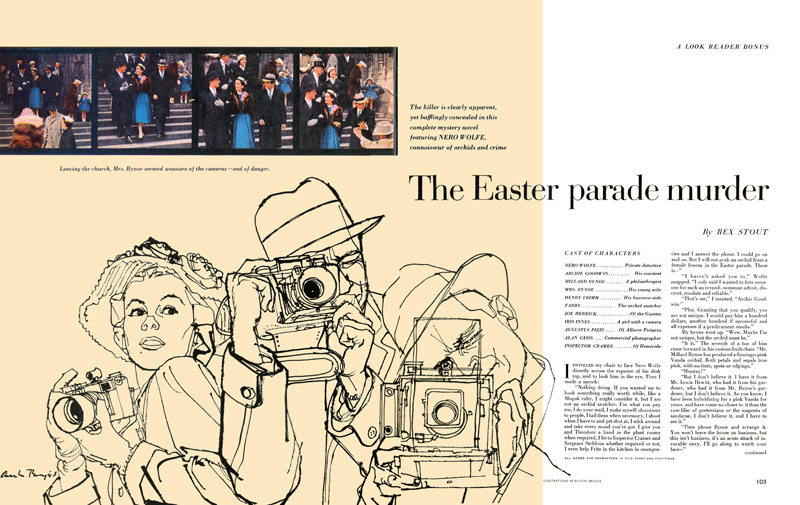 The entire process takes 40-50 hours depending on the size and complexity of the image. If I make a major mistake I have to start over. Minor mistakes I live with; they add to the organic nature of the print. The process is slow and meditative. I'll put on music, immerse myself in the carving and hours will go by in a flash. In these days when everything is moving so fast it's nice to have an activity that forces me to relax. I guess woodcutting has become my personal yoga. FOGcon sounds like fun. If you're in the San Francisco Bay area, you'll want to check it out! Definitely a crime and mystery bent this year! FOGcon (fogcon.org) is an annual science fiction and fantasy convention in the San Francisco Bay Area. Theme this year is Law, Order, and Crime. Mystery-reading friends invited to join discussions of books, fiction writing, and the future of crime. Dealers Room, and more. 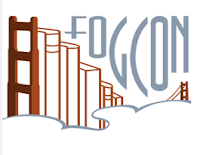 FOGcon takes place from March 8-10 at the Marriott, Walnut Creek, CA (easily BART-accessible). Memberships are $85 for the weekend; daypasses are $35/40/30 for each of the three days of the event. Email FOGcon (contact on website) if you have any questions, or if you'd like to know more about FOGcon. As societies change, both law and crime evolve, and punishment changes as well. Advances in technology (or the workings of magic) make possible crimes that we could never have predicted, methods of crimefighting unforeseen, prisons unlike any we have now. If a dragon is a citizen, are they allowed to eat people? How do you imprison a telepath? How does a civilization of teleporters keep from descending into anarchy? What rights do aliens or androids have? How can vast empires covering many lightyears maintain some sort of order? The implications are much broader than the basic question of whodunnit. We are currently seeing major shifts in the balance between the individual and the state, privacy and convenience, freedom and security. Speculative fiction has always explored questions like these, and the results have been some of our finest fictions. At FOGcon 3, we’re going to be discussing those questions and possible answers for our own future. Prison is changing. Prison populations are increasing, and state and local budgets are feeling the strain. One solution is privately owned for-profit prisons (which the state must contractually keep filled at a certain level). However, there's a growing consensus that prison doesn't work for certain kinds of offenders. Electronically monitored house arrest - for prisoners who can afford the expense - is already available. What alternatives to traditional prison sentences will be made possible by advances in technology? And what are the social and civil rights implications of all of the above? Whether it's Harrison's Stainless Steel Rat, Gibson's Molly Millions, Bester's Foyle, or Peter O'Donnel's Modesty Blaise, some criminals are unquestionably charismatic. Who are the most charismatic criminal protagonists not enough people have read? What's the magic that turns a selfish thug into a charismatic rebel? Are the rules for criminal heroes different for women or minorities? And were there any real-life Robin Hoods, or does that only ever happen in stories? Thief-takers, Bow Street Runners, Pinkerton detectives...What was solving crime like in the bad old days? How do you thicken the plot in your fiction? What techniques can you use to increase tension? How do you change your story from a string of unrelated events into an exciting story? Writers talk about the craft of building a strong plot. 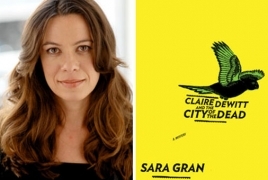 TNT announced today that it's looking to bring Sara Gran's Claire DeWitt to TV. Gran is attached to write and co-executive produce the hourlong drama script, with John Wells, Andrew Stearn and Christopher Chulack on board as executive producers. If ordered to pilot, Chulack will serve as DeWitt's director. Claire DeWitt and the City of the Dead won the Macavity for Best Novel in 2012. Gran also is developing Nutshell Studies, a Hitchcockian drama about a 1950s small-town housewife who becomes obsessed with solving brutal crimes, at HBO. Guillermo Del Toro will serve as an executive producer as well as director on that project, with Gran attached to write and co-executive produce. 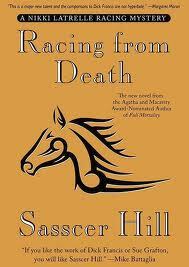 The Short Mystery Fiction Society announced the nominations for the 2013 Derringer Awards. Derringer winners will be determined by a March 1-30 poll of eligible SMFS members and will be announced March 31. Happy Birthday, Dr. Seuss! March 2nd is not only Dr. Seuss's Birthday, but it's also National Read Across America Day, a national program to support and encourage children's reading. NEA's Read Across America is an annual reading motivation and awareness program that calls for every child in every community to celebrate reading on March 2, the birthday of beloved children's author Dr. Seuss. Having been a reading teacher in a former life, I know how important it is to get children reading when they're young. This is a fabulous day, and since I also have a Chocolate Blog, you can enhance the day with chocolate, but that's my bias. 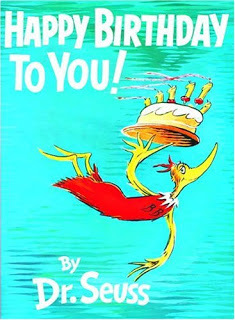 Even though Green Eggs & Ham is the most popular of the 'food' Seuss books, and, by all means read it and make some green eggs and ham, since it's Dr. Seuss's Birthday, read Happy Birthday to You and bake a cake! Check out a copy from your library or buy a copy and read it to or with a child. To enhance the experience, bake a few chocolate cakes, cupcakes or buy a chocolate Sheet Cake, and have the children decorate. You could also read Thidwick, the Big-Hearted Moose and serve Chocolate Mousse sprinkled with red candy hearts. Here's a classic recipe for Cat in the Hat Cookies: Melt white chocolate in the microwave. Dip a round cracker or cookie in the white chocolate, place on wax paper and top with a marshmallow. Allow to cool. Pipe bright red icing as rings around the marshmallow and cover the top. And from Parents Connect, here's a recipe for Dr. Seuss's Sneetch Treats. Perfect as a companion to reading The Sneetches. 2 Combine melted butter, brown sugar, eggs and vanilla in a bowl. Mix well. 3 In a separate bowl, combine flour, baking soda and salt. Slowly add to the butter mixture. 4 Add the oatmeal, walnuts and raisins. Mix well. 5 Drop the batter (1 tablespoon at a time) onto ungreased cookie sheets. Flatten each cookie slightly with the back of a spatula. 6 Bake 12 minutes until golden and firm. Remove cookies to cake rack to cool. 7 Once cookies have cooled, put a square of chocolate onto each cookie. 8 Heat up your grill (or smoker... or fire pit... or oven). 9 Place marshmallows on skewers or BBQ forks. Slowly roast marshmallows over the grill until they're golden on each side. 10 Carefully slide marshmallows off of forks and onto the chocolate-covered cookies. Place another cookie on top of the Marshmallow. Theodor Seuss Geisel (March 2, 1904 – September 24, 1991) was an American writer and cartoonist best known for his classic children's books under the pen name Dr. Seuss. With millions of books in print, and nearly all of his titles still available for sale, Dr. Seuss was, up until his death in 1991, one of the most prolific living writer behind Barbara Cartland. His Green Eggs and Ham is the third largest selling book in the English language. He wrote 44 children’s books. His best-sellers included: Green Eggs and Ham, The Cat in the Hat, One Fish Two Fish Red Fish Blue Fish, Horton Hatches the Egg, Horton Hears a Who!, and How the Grinch Stole Christmas. Seuss’s first book And to Think That I Saw It on Mulberry Street was published in 1937 after being rejected almost 30 times. 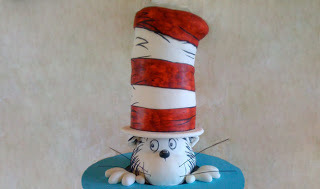 This was a Cat in the Hat Birthday Cake from Christine Guzman, owner of The Quaint Cake Co in Boca Raton, FL. It was a chocolate cake, of course! They're no longer making cakes, but be sure and check out their gallery...site is still up for your enjoyment!